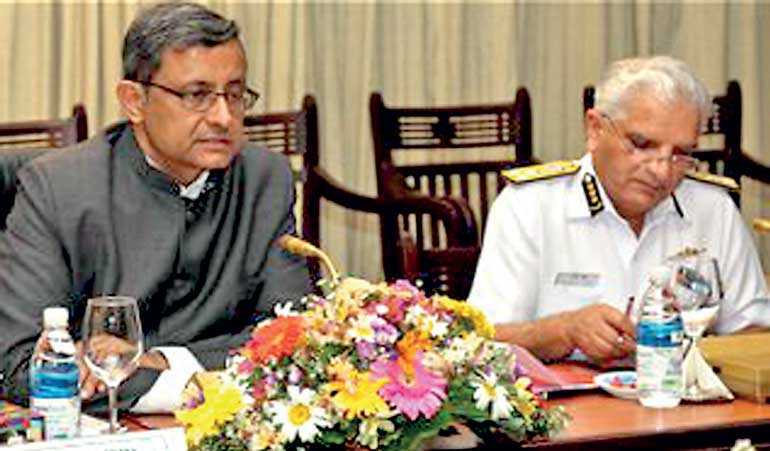 The 6th Indo - Sri Lanka Defense Dialogue, was held yesterday in Colombo with the participation of an Indian delegation led by Indian Defense Secretary Sanjay Mitra reviewed the bilateral defense cooperation between the two countries. The Indian Defense delegation participated at the 6th Indo-Sri Lanka Defense Dialogue on the invitation of Secretary to the Ministry of Defense Hemasiri Fernando at the Ministry of Defense (MOD) in Colombo. 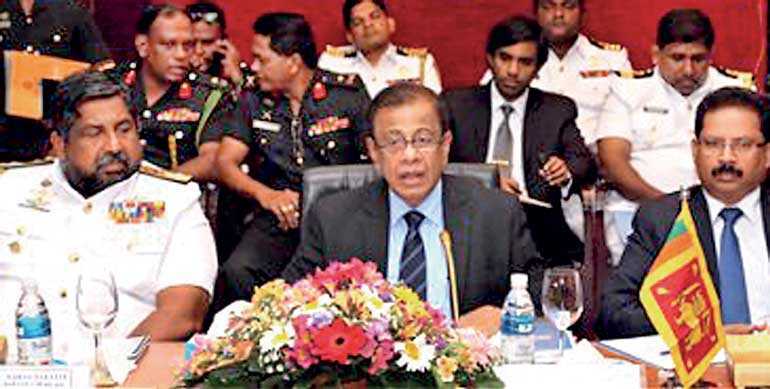 Since its inception in 2012, the Annual Indo - Sri Lanka Defense Dialogue reviews the entire scope of defense cooperation between both countries while expanding its activities into new areas of interests. During the meeting, both parties had lengthy discussions on matters of mutual interest and bilateral defense cooperation. Deputy High Commissioner of India to Sri Lanka, Chief of Defense Staff, Commanders of the Army, Commander of the Navy, Chief of Staff representing the Commander of the Air force, senior officials of both defense ministries and military representatives of both parties participated at the annual meeting.